As a fifth-grade teacher at Maple Valley Christian School, I always searched for good books to read out loud to my class. Bill Myers’ newly published series My Life As … spoke to the angst of nerdy kids everywhere while sliding the truth about life and God and the gospel in with lots of laughter so it was painlessly absorbed. The books were an ideal choice for my class. Then one day, near the end of My Life as a Smashed Burrito with Extra Hot Sauce, I was reading about the protagonist Wally falling into a perilous river and his counselor rescuing him. At one point the analogy with Christ on the cross was so strong that I burst into tears. Tears. Not misty tears. Ugly sobbing tears. Fifth grade boys are merciless. And though they loved me, they laughed out loud when I blubbered. Even as I tried to explain the connection between Wally’s rescue and the cross, they laughed out loud. It was humiliating. Thanks a lot, Bill! Something that those amazed by Bill’s enormous success may find irksome is the fact that he actually wanted to be a dentist, not a writer. He rarely read as a kid and got Cs and Ds in his one writing class in college. That just doesn’t seem fair, does it? But one day while studying at the University of Washington, Bill told God he was willing to do anything for Him. “[God and I] had quite a few arguments, but because I made that promise, I changed my major to film directing and a few weeks later found myself in Rome, Italy, studying a subject I knew nothing about in a language I couldn’t speak. Talk about feeling foolish,” Bill says. The writing came later. While Bill was directing a play in Los Angeles, a producer asked him to write a television show. “I discovered the power of writing through television and movie scripts, then books,” Bill says. Besides his studies in film directing in Rome, Bill holds a degree in Theater Arts from the University of Washington and an honorary doctorate from the Theological Institute of Nimes, France, where he taught. He has sold more than 8 million books and DVDs, won more than 70 national and international awards, earned 24 Gold and Platinum ITA awards, published 125 books, and has several motion picture projects in development right now with his production company, Amaris Media International. If you have kids, you can thank Bill for McGee and Me, Adventures in Odyssey, and several fabulous book series. If you like to read intriguing fiction, you can thank Bill for his adult novels. Bill has been interviewed for Good Morning America, ABC Nightly News, The 700 Club, and TBN, as well as hundreds of broadcast, online, and print organizations. It’s amazing what God will do when we simply say yes to Him. Screenwriting – Learn the basic three-act structure most filmmakers insist upon, as well as character development, plot development, dialogue, comedy, formatting. Time permitting, how to market your material will also be covered. 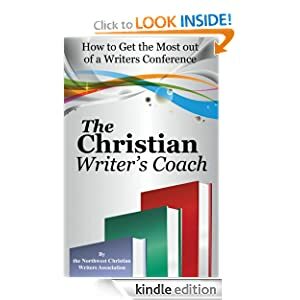 NCWA member Julie McDonald Zander was impressed with Bill’s content and presentation style when she heard him speak at an Oregon Christian Writers summer coaching conference. Following it, she purchased a few of his books. You’ll want to attend too. Bill Myers is just too good not to. Sign up now for the 2017 Northwest Christian Writers Renewal! Don Milam didn’t take a boring route on his way to becoming Acquisitions Consultant with Whitaker House Publishers. After he graduated from Prairie Bible College in Alberta, Canada, Don and his bride joined the staff of Philadelphia Teen Challenge, working in the inner city with drug addicts. After two years, they exchanged the streets of Philadelphia for the streets of Maputo, Mozambique (East Africa), where they opened a drug rehabilitation center at the request of the Portuguese Department of Health. In 1975, Communists took control of the country. Don was arrested and spent ten months in prison. Following his release, he pastored for ten years in Pennsylvania. For eighteen years he was head of Author Development at Destiny Image Publishers, and then he joined Whitaker House. 1) 10 Ways to Become a Better Writer – If you want to be a complete writer, you need a strategy. Out of his experience as author and acquisitions editor, Don Milam will share an abundance of tips that you can use to devise your own personalized strategy for becoming a successful writer. 2) Successful Writing Results from Creative Thought + Dynamic Experience – Writing doesn’t begin with the words someone types on a computer. That output is simply a visible manifestation of a mixture of ideas, thoughts, revelations, imaginations, intuitions, and feelings, combined with a person’s experiences. Too often a book suffers a premature birth because the author didn’t experience the truth or fully engage the thought before sending off the manuscript. Let Don guide you into learning to think in a way that will help ensure the permanence of your writing. As an author himself (The Lost Passions of Jesus and The Ancient Language of Eden), Don has a heart for conferees who want to discuss their book projects with him. He is interested in seeing nonfiction proposals on Christian living and growth, spirituality, marriage, parenting, counseling, relationships, and leadership. To hear Don speak or to request an appointment with him or with one of the other six editorial representatives at this year’s Renewal, register today!